The spring theater season has officially begun, and a slew of highly anticipated musicals and plays, both brand-new and revisited, are set to bow. Broadway.com's Spring Preview series captures the stars bringing these stories center stage in the new season. Frozen, the Broadway mounting of the smash-hit animated film, is getting ready to bow at the St. James Theatre. For the five years since the movie came out, fans have been dreaming about what this winter wonderland would look like live, and, of course, who will bring the beloved characters, Elsa and Anna, to glittering life on the stage. After a well-received run at the Buell Theatre in the Denver Center for the Performing Arts last year, leading ladies Caissie Levy and Patti Murin are already drumming up a lot of buzz for their portrayals of these now iconic royal sisters. As we all know, Elsa and Anna are not your typical Disney princesses. With strong minds and valiant hearts, Frozen's royals are truly heroines. Here, Levy and Murin chat about their sisterly relationship onstage and off. How does it feel to be playing Disney princesses? 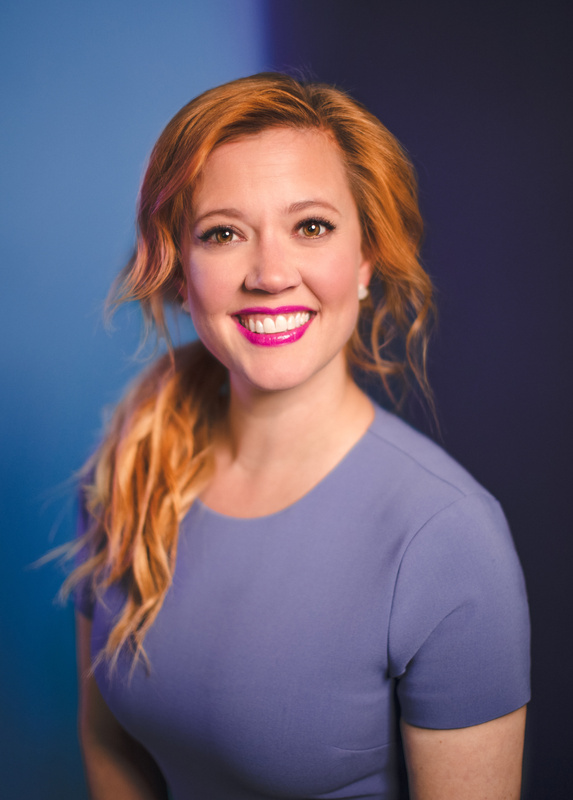 Patti Murin: Playing Disney princesses is pretty amazing, mainly because these specific princesses and queens are actually incredibly strong heroines. That’s really exciting, within this time. Caissie, what’s the most Disney-princess thing about Patti? Caissie Levy: I think Patti is fully Anna in every possible way: It’s perfect casting. She’s a total goof. She’s got so much heart. She leads with her heart in life, I’d say. She’s the most fun to be around. We eat a lot of chocolate together. "We are laughing all the time, the two of us." Caissie: I think Patti’s got both the strength and the vulnerability of a Disney princess. Patti: I think Caissie is like Elsa. Even when she’s feeling something, she knows how to keep it inside until it’s an appropriate time to let it out, which is usually in our dressing room. Patti: She’s just so wonderful to work with because she just is so professional and so regal. But then she’s still a big nerd like me and knows how to have so much fun. Caissie: We have a good time together. Can you tell? Yes! What other kinds of sisterly things do you do? Caissie: We have a dance party together at the top of the show backstage that’s pretty horrifying, but we think it’s great. Patti: We think we’re hilarious. Patti: We do text nonstop! She shows me pictures of her son. I show her too many pictures of my dogs. Patti: We were friends through other friends, but we had never worked on a single thing together. No readings, no concerts, nothing. Caissie: We read for Frozen together, and it was instantly apparent that we could play sisters. I remember we were backstage before our final read-through together, and we instantly shared some really private, deep things about our lives, just naturally, and I think that speaks to our chemistry right off the bat. We were just like, "Here’s who I am." And the other one said, "Yeah! Here’s my stuff." We then went out and read with each other, and I think the creative team felt that coming off of us. Patti: Wow, I’ve never thought of that before. I forgot about that! How do you guys crack each other up? Caissie: Just by looking at each other. We are laughing all the time, the two of us. Patti: I always said to my best friend growing up, "I have to find a guy just like you because you laugh at all of my jokes, even if they’re dumb," and Caissie is my adult-best-friend version of that. She laughs at everything I say. Patti: I’m not that funny all the time. What do you love the most about your characters? Patti: I love playing Anna because she is an eternal optimist, but she’s also so determined. She’s driven by love, and I think that’s a really refreshing thing to be able to put into a character. Caissie: I think the thing I love most about Elsa is the way she changes. She comes into her own and accepts who she is and accepts her flaws and turns those into strengths. I think she’s got a lot of fortitude. I think she’s a really, really strong woman. Caissie, you have this huge diva moment with “Let It Go.” How does performing that feel? Caissie: Singing “Let It Go” eight shows a week is amazing. It can be overwhelming if I think about it too much, so I just opt for denial. But I love singing it. It’s one of those songs that's just kind of like touched from above, and that’s why people connect to it so much. It’s really exciting to sing. It’s really exciting for Elsa and her story at that moment in the show. How do you both get those addictive Frozen songs out of your head? Patti: Frozen songs do get stuck in your head, but honestly, it’s never my own that do. It’s always someone else’s, so it’s already a pleasure to run that through my head for a little bit. "'Let It Go' is one of those songs that's just kind of like touched from above, and that’s why people connect to it so much." How do you two feel about sharing Frozen on Broadway? Caissie: We’re so excited for people to see this show. We’ve been working on it for many, many moons. Patti: I realize that it’s just about a year since we read together, so it’s been a year in the making already in terms of our last workshop before we went to Denver and did that production. It seemed like forever at the time. Like, "Oh, it’s a year away." Caissie: It’s crazy that we’re here already. We’re excited. Have you guys heard from anyone from the movie? Caissie: I saw Idina at a show! I told her I was playing the role, and she was incredibly sweet and gracious about the whole thing. We hope they come and check us out! Patti: Josh Gad and Jon Groff are good theater friends of ours. Caissie: Jon was at our opening in Denver. They’re theater people, which is nice. Patti: They’ve been so supportive and lovely. Caissie: It feels like a big family. Will you two reveal a secret about each other? Patti: She lets me use her deodorant before shows if it’s really a desperate situation. Patti: [Laughs.] That’s actually probably more of a secret about me! Caissie: You have to take that out. Caissie: No, the deodorant can stay. That’s a good tidbit.